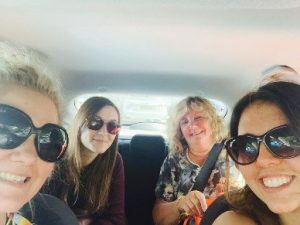 Team #StirARMA2016 travelled to Birmingham for the annual conference of the Association of Research Administrators and Managers armed with their posters, business cards and eagerly awaiting the results of the ARMA 2016 Awards. The annual conference was a great opportunity to network with our research support peers, obtain up to date knowledge and insights and to engage in conversations that will support our service provision within the HEI landscape. Across the two day conference, the team attended a number of sessions including, the Funder’s Forum, the Future of RCUK grants and the Game of Pre-award. The Research and Enterprise Office had two entries in the Poster Exhibition, Leaning In and Leaky Pipelines and Tweet Tweet: How twitter works in a Research Office. 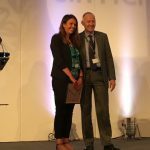 Although we didn’t win Research Management Team of the year, we were delighted when Lauren Wilson, was awarded Highly Commended in the Technology, Innovation and Application Award category for her RMS Impact Tool. A fantastic time was had by team #StirARMA2016 and a great conference was wrapped up with further success when Lauren & Lisa’s poster was awarded the Conference Delegates Poster Award on the final day.